It is extracted from several types of lemongrass Cymbopogon spp., and is commonly used in insect repellant candles and ointments. It is found to be particularly effective against Aedes aegypti mosquitoes that transmit yellow fever as well as Dengue and Zika viruses. Growing citronella around your garden is also a good way to repel mosquitoes. 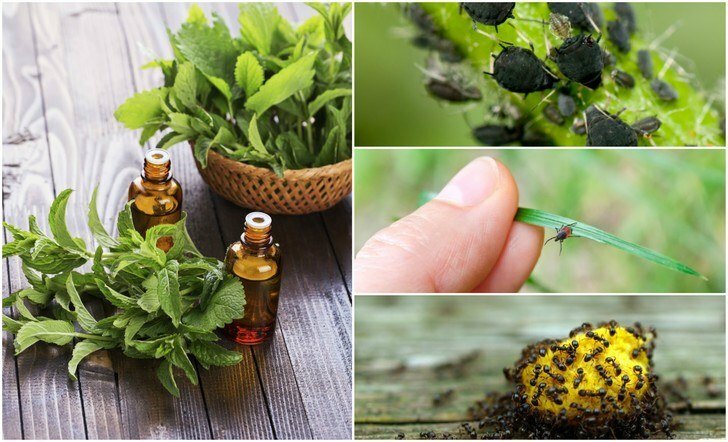 Here are 11 herbs and plants that help to keep mosquitoes away. Note: All of these essential oils are available to purchase from Plant Therapy (our recommended supplier of 100% pure essential oils) on their official website here. Diffuser – Diffusers help distribute the volatile oils in the air at a steady rate. Use a combination of mosquito repellent essential oils in the diffuser for use in the patio or indoors. Here are ten reasons every home needs an essential oil diffuser, and here we review five of the most popular to help you work out which is best for you. Mosquito repellent sprays – They come handy when you need protection from mosquitoes outdoors. You can mix a number of mosquito repellent herbs or essential oils in plain water, or in vodka, witch hazel or lavender water for extra effect. Try this homemade four thieves mosquito spray. All of the essential oils mentioned in this article are available to purchase from Plant Therapy Essential Oils. Plant Therapy are our favorite supplier of 100% pure essential oils, they offer free shipping in the U.S. and returns for up to 90 days after purchase. You can browse their essential oil selection on their official website here.